I don't really like pumpkin beers because they never really taste like pumpkin. 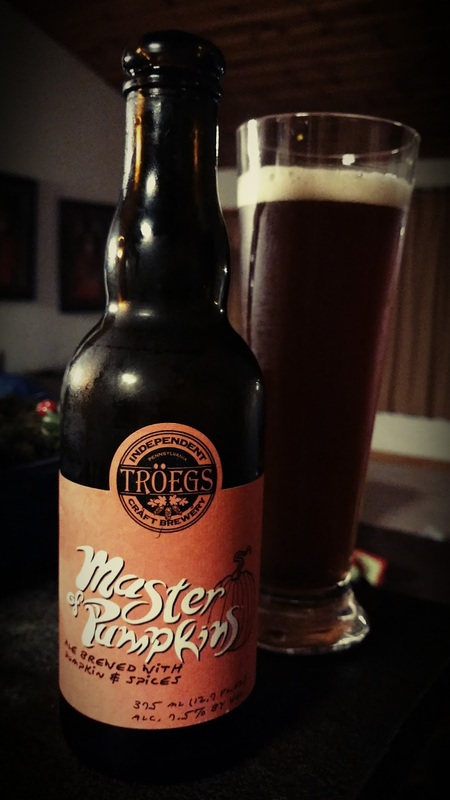 Sure, some pumpkin beers are well-crafted brews, especially this year's Dogfish Head's Punkin and Troeg's Master of Pumpkins. Then there are the syrup-bombs that taste like cinnamon extract...which have less finesse you could say. But pumpkin has a distinct flavor - so why don't any of the beers taste like pumpkin? Perhaps they should be called "Autumn Ales," in a similar way that holiday beers are called "Winter Ales" or "Christmas Release." A little heavy on the clove, but nice. Mulling this over in my mind, I thought of the wonderful bread I made using a Marina di Chioggia squash that I roasted in the coals of a fire. The bread tasted of autumn: warm, smokey, with a strong squash flavor. Thinking it over, I became curious about incorporating that flavor into beer. I previously made a beer with sweet potato, after Korea's sweet potato-based liquor, soju. 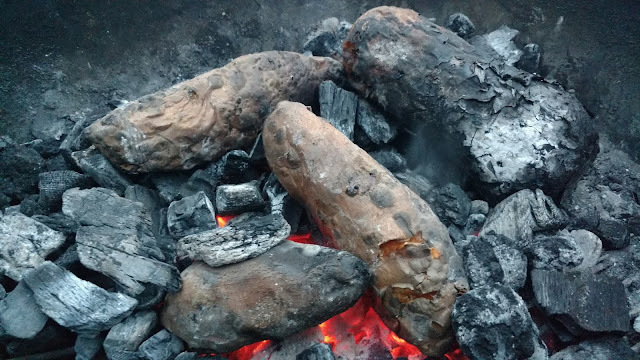 So I started a fire and let the coals burn down, then loaded it up with three large sweet potatoes (plus a butternut squash cause, hey, why not?). The veggies hissed and crackled and became very, very charred. After about 40 minutes, the butternut squash was carbonized in the base and the sweet potatoes were soft and collapsing. I added these to a boiling pot of amber ale wort and boiled for 60 minutes. I kept the hops very light with just some cascade, not wanting to overpower the squash. I'm not really sure how this will turn out. Smokey and autumnal? Sweetly squashy? Rather humdrum? Well, I've got another 3 lbs of fire-roasted candy roaster squash I could boil and add to the secondary fermentation if this first round seems to be lacking in the smoke and squash flavor profile.